It’s part of a manager’s job to keep their employees motivated and feeling like they’re part of the team. 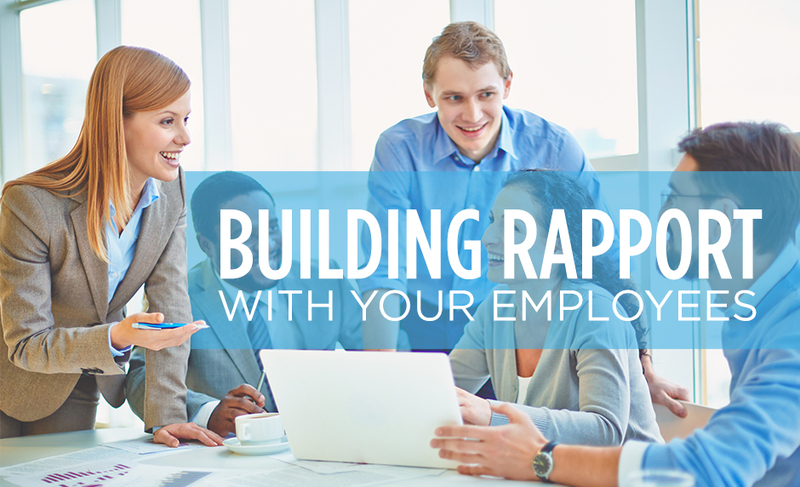 In order to keep employees happy and working toward their fullest potential, it is a good idea for managers to build some rapport with staff members. With a hefty workload, it can be challenging for managers to make connections with their team members and build strong, professional relationships. Fortunately, there are a few every-day tactics managers can practice to make solid connections with their teams. It’s the little things that can make a difference. Make an active effort each day to say hello and goodbye, be polite with requests, and treat staff members the way you would want to be treated. Cultivating an emotionally healthy work environment makes for happier employees. It only takes a few minutes to chat with employees and learn about their interests. Ask about their kids and families, or maybe some hobbies they’re interested in. Want to go the extra mile? Remember the names of their spouses and kids if you can. Genuine interest won’t go unnoticed! You should let your staff know what is expected of them while continuously providing constructive feedback. When they meet or exceed your expectations, make sure your praise is specific and recognize their valuable contributions. Where there is room for improvement, explain in clear terms how they can do better. Your staff should feel comfortable approaching you if they have questions, concerns or problems. Be open to listening to their ideas so they feel as if they can make contributions and have some autonomy in shaping their workday. You never know when you might get some great suggestions that improve productivity! The key to building a good relationship with staff members is to find the right people to work for your organization who will be a good fit for the company. Eastridge Workforce Solutions can help you. Give our staffing service a call today to find out how we can help your organization recruit a team of great workers.